This lanyard is branded with your logo via weaving. This means instead of your text branded by ink it is actually woven into the fabric itself using a different colour. This style is perfect for capital letters text. No logos are possible on this style of lanyard. 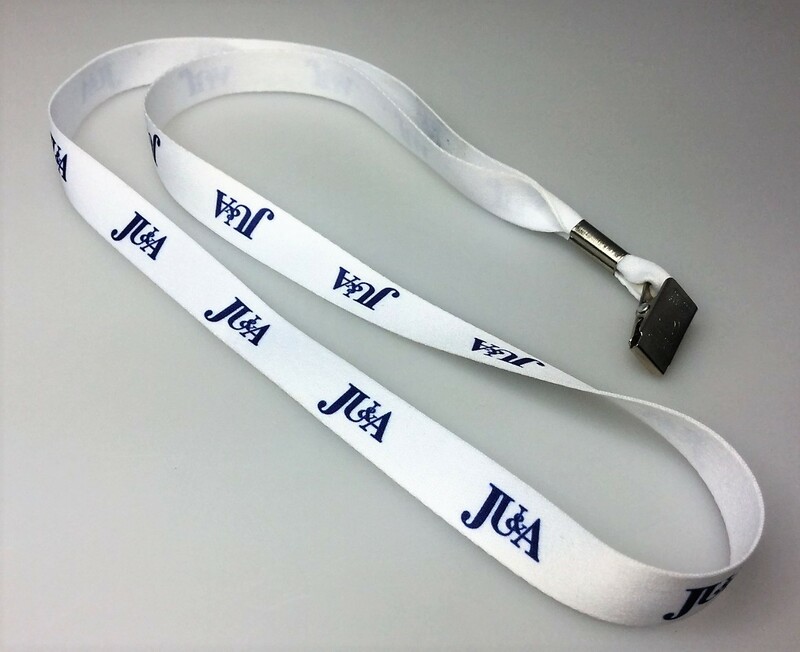 The dimension of this lanyard measures: 19mm thick x 457mm length. Lanyard Colours available include: Red / Orange / Yellow / Green / Bottle Green / Teal / Navy Blue / Reflex Blue / Royal Blue / Baby Blue / Purple / Burgundy / Brown / Grey / Black / White . If you like you can also have your lanyard fabric Pantone matched to your colour of choice for orders above 1000 pieces. 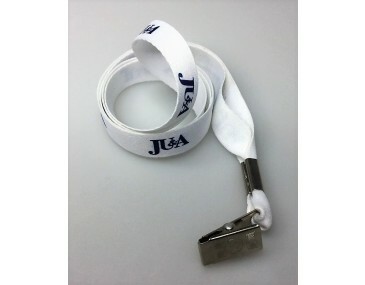 Check out our page on lanyard customisation. 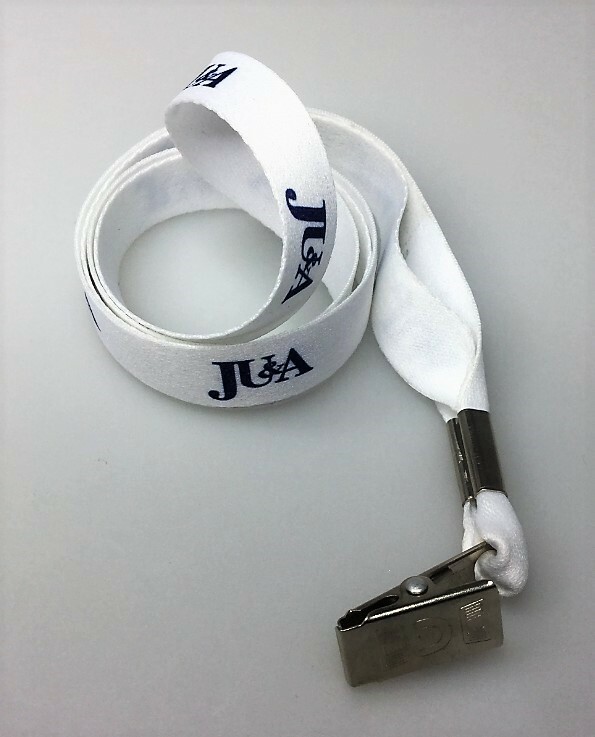 Lanyards measures: 19mm wide x 457mm longDecoration area is: 914mm x 15mm h. We Use Woven technology to decorate your logo and branding. 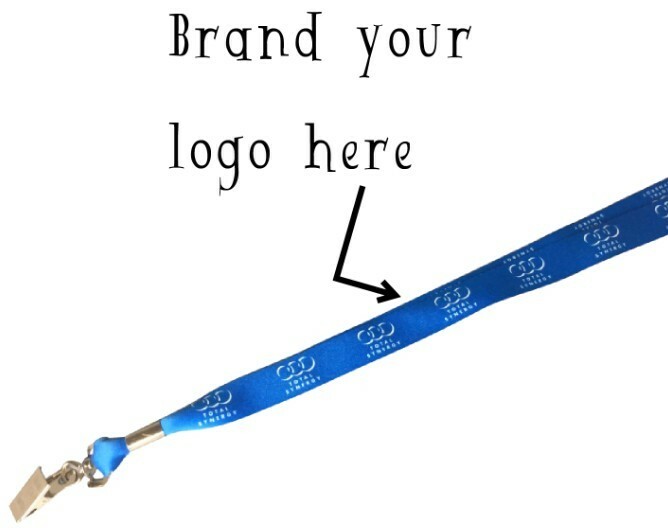 Pricing seen on our website includes your logo printed with a 1 colour print woven into the fabric which is wrapped around the entire lanyard. To emblazon your logo a set up charge applies of 60. Lanyards come delivered to you in boxes that measure in (mm): 330 x 330 x 610. Weight is in kilograms: 14.5. Each box contains 800 pieces.